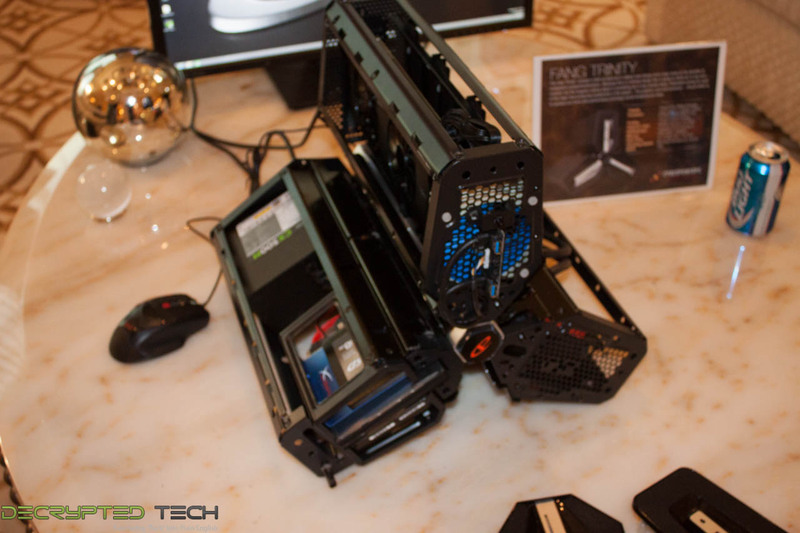 We stopped by the CyberpowerPC suite at the Palazzo yesterday and were shown some interesting products. When we walked into the suite the first thing that caught our eyes was a very unusual looking PC. This was set up like a three armed star with a power button in the center. In talking with Eddie Vong we were told that the Trinity Fang is fully customizable so you can get the components you want… within certain limits. 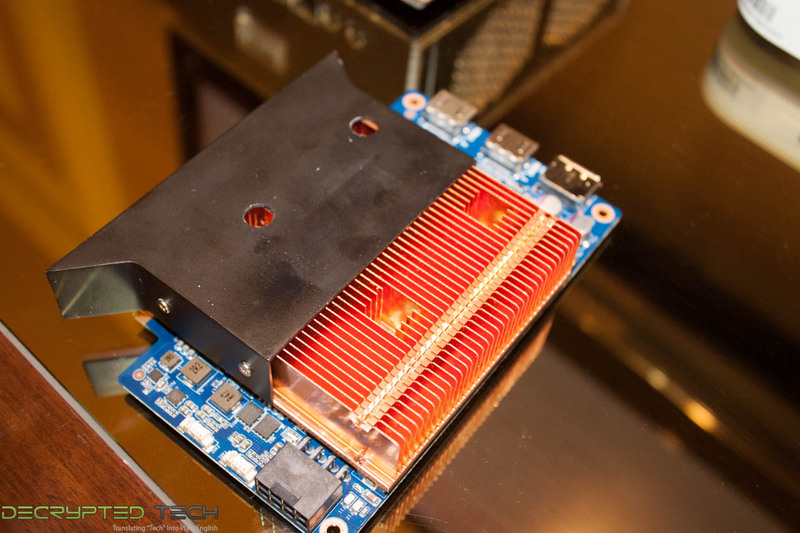 You have to use a Mini-ITX board simply because of the space available to you. The Fang is very sturdy and quite heavy as well. The enclosure it very obviously made from heavy weight steel (including the covers) which adds to the weight of the product. We are guessing that shipping is going to cost a fortune for this one. After the trinity we went around the room checking out the other systems that CyberpowerPC had to show off. 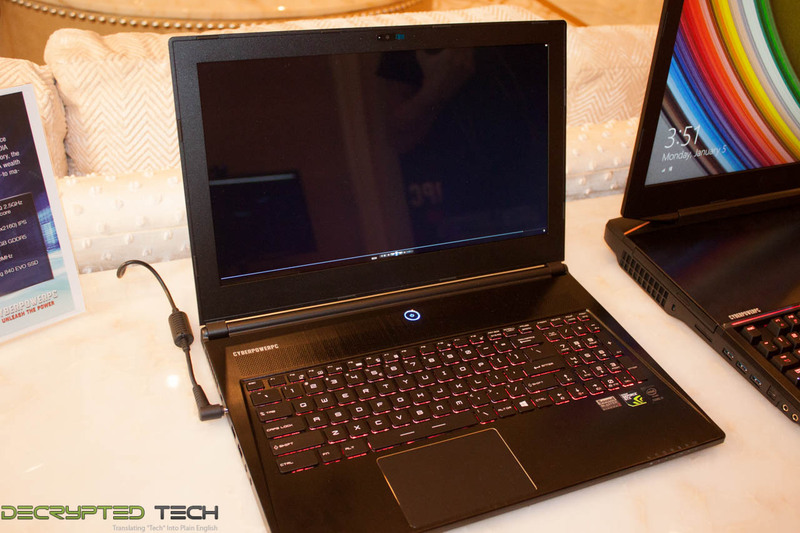 One that was very interesting was a 15-inch notebook that comes complete with a 4k screen. 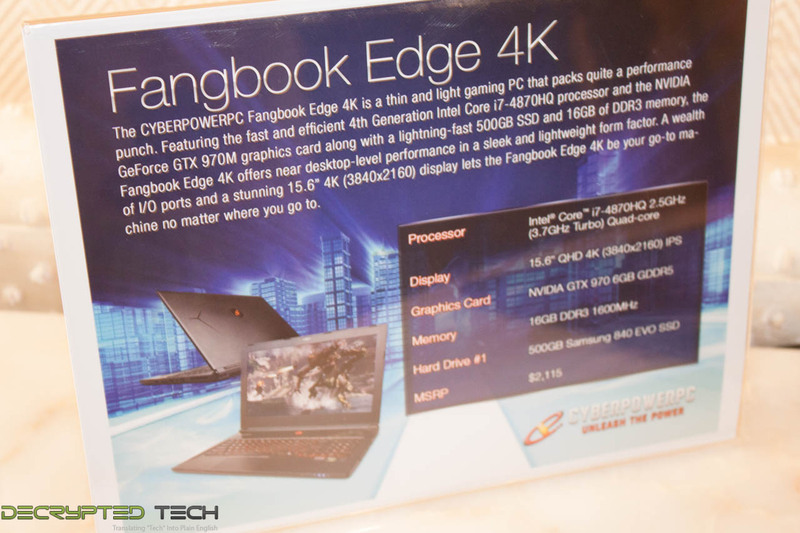 This is the Fangbook Edge 4k. Although it appears to be aimed right at the gaming community I can see tis sitting very well with professionals. 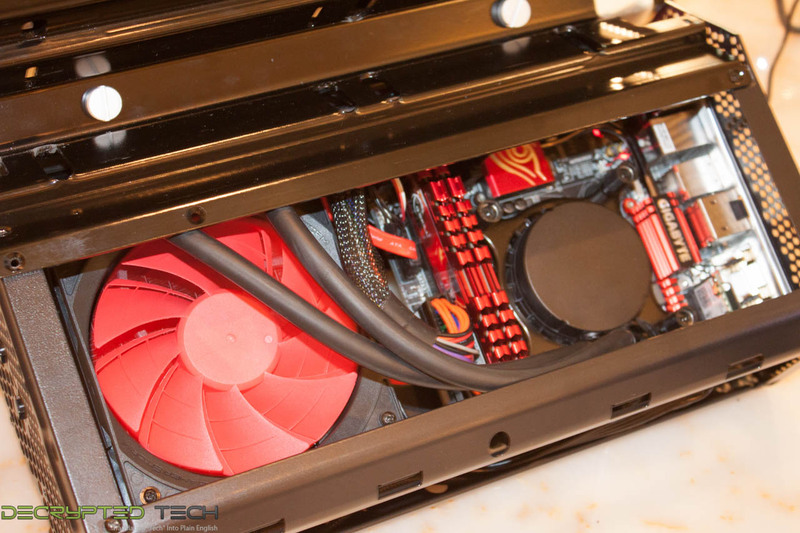 CyberpowerPC went so far as to ensure that the CPU has Iris Pro graphics even though there is a discrete NVIDIA 970M onboard was well 16GB of RAM and a 500GB Samsung EVO SSD round out this drool-worthy package. 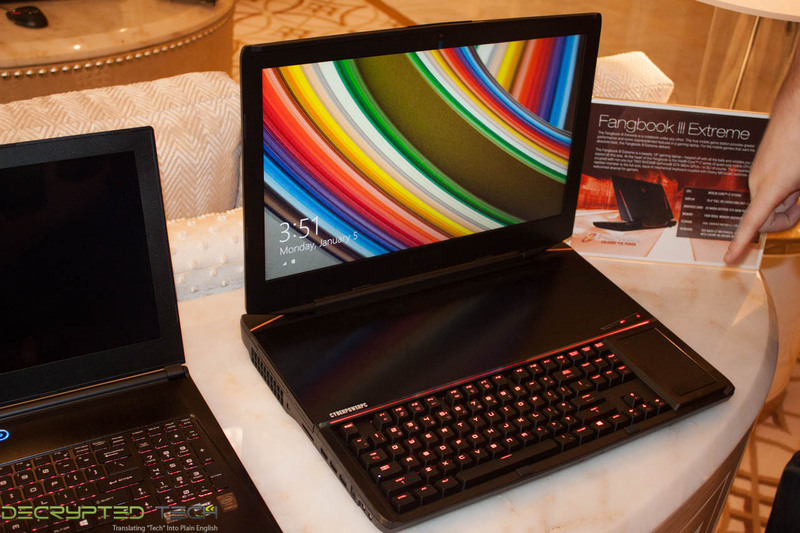 Right next to it was the Fangbook III Extreme which is an unusual looking notebook that includes a mechanical keyboard and the touch pad set to the right. This is a notebook that is meant to game on, cut and dry. Everything from the keyboard to the touchpad placement shows that off quite well. 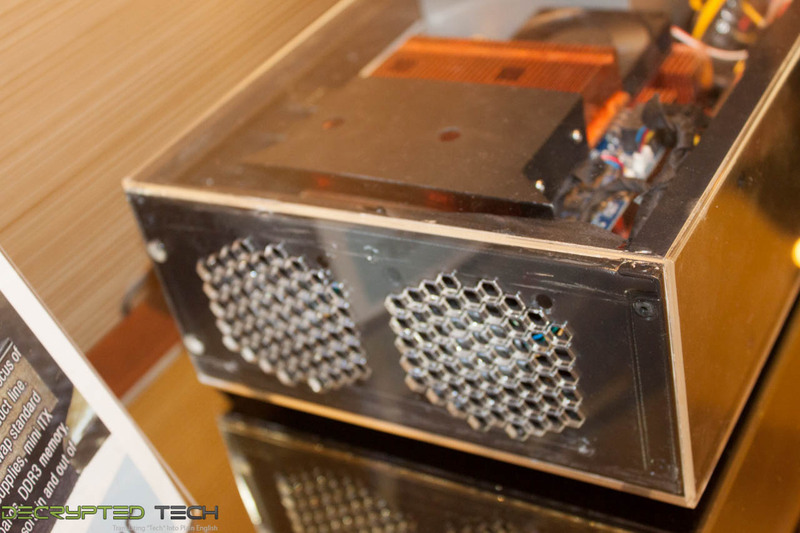 Eddie also showed off their improved Zeus II system. This is basically like the Zeus they showed off last year, but with some improvements to the chassis. Then we came to the Syber. 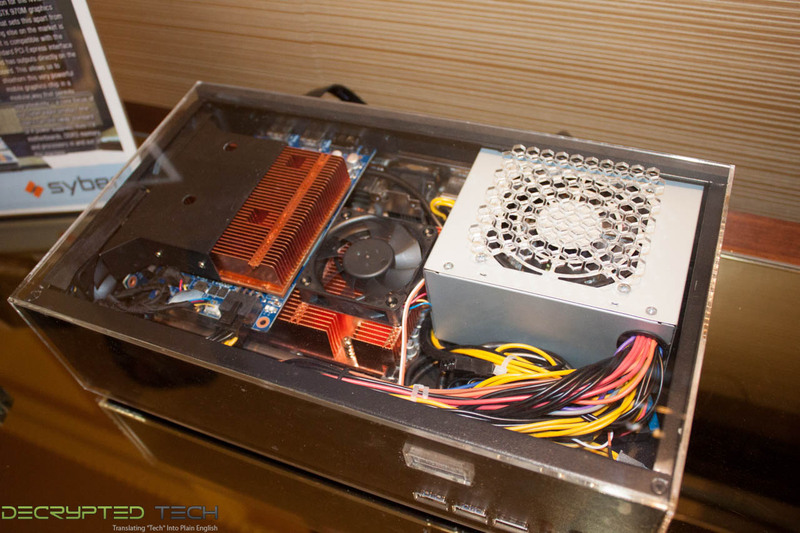 This is a box built to be put in the living room as an HTPC/Gaming system. You get a clean looking box with adjustable LEDs and a system that does not need to be powered off. 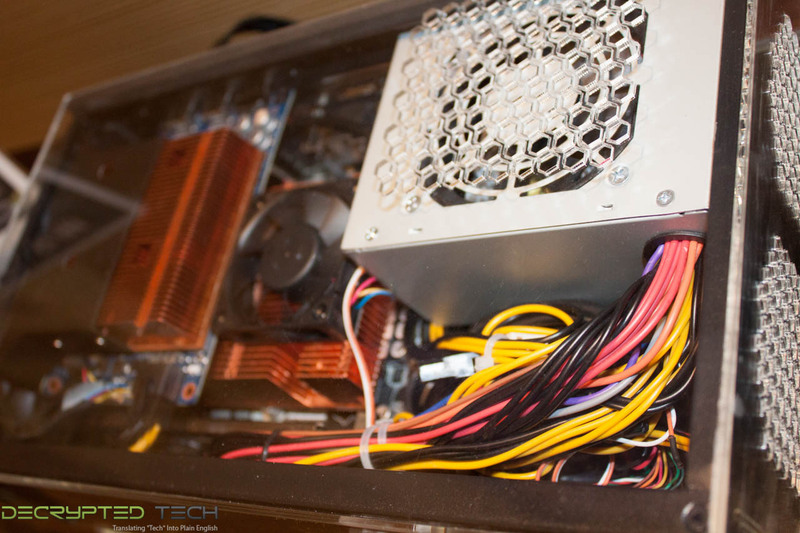 CyberpowerPC made sure that there is little to no fan noise coming from this system which is a very good thing. After leaving the Syber we ended up in another room with a prototype system that Eddie put together. 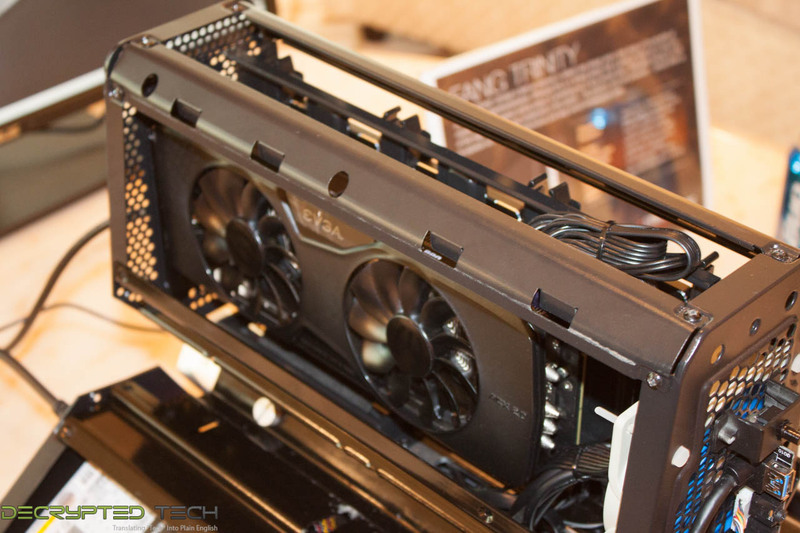 It was another Mini-ITX board with a GTX 970M on their own PCB and connected to a riser card. But that was not the coolest thing about this system, what really impressed us was the cooling that was on the CPU and graphics card. 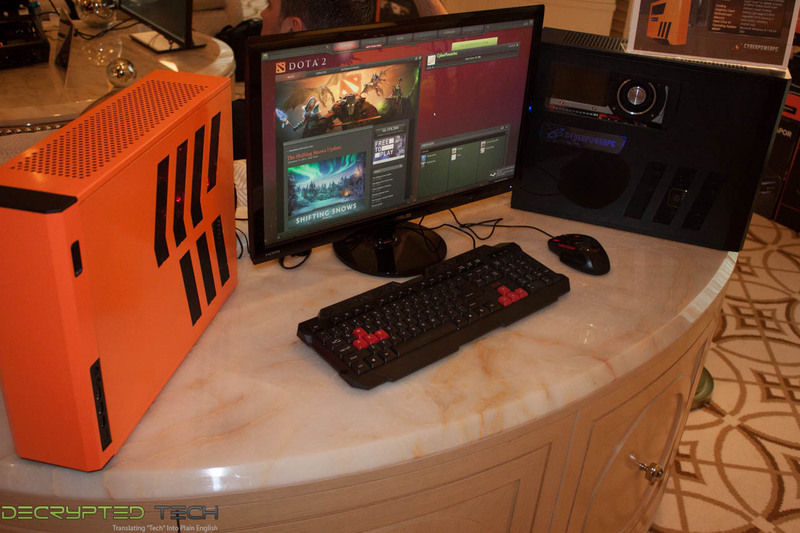 These were built by CyberpowerPC and really show off what you can do with cooling in a small space. Eddie told us that the system we saw was not the final design. They were considering cutting down the size and going with an external power brick to reduce the size even more. 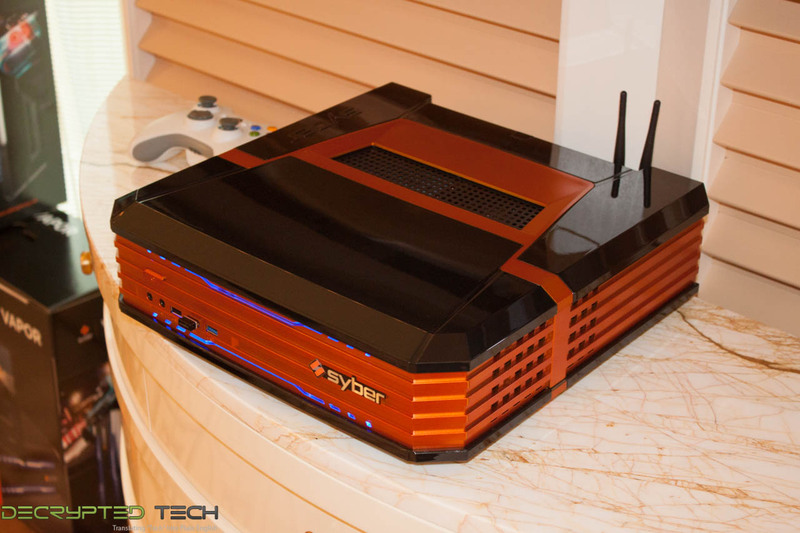 As with most things we have seen at CES we hope to get some of this stuff in the lab very soon.